Booking a conference venue is a pivotal part of hosting a corporate event like a conference, workshop or product launch – and it can be an expensive mistake if you book the wrong venue. Here are some questions to ask before you put your budget and your brand on the line, from our conference venue near Johannesburg. How suitable is the venue for this event? If you can’t visit the venue in person to see exactly what they can offer you, it’s important to discuss with them the basic requirements you’ll need to pull off a successful event. Is the venue the right size? Can it seat enough people? Is there room for presentation equipment you want to bring? Does the venue’s atmosphere and facilities suit the atmosphere of the event you are planning to host? How accessible is the venue? This covers two key areas, namely that it will be easy for attendees to transport themselves to the venue and, that once there, that the venue has a wheelchair and other accessibility areas covered. Can you offer catering options? Most conferences require some level of catering, even if it’s just basic refreshments, but no two venues are the same – so it’s important to discuss exactly what kind of catering they can offer you. You may want a spit braai or a formal sit-down meal or have attendees with specific dietary requirements, and the team at the venue has to be prepared to deliver. What is the venue set up? There are lots of different types of conference centers and some are more suited to certain events than others. You may need a large, seated theatre-like room, or a wide open space where you can host dozens of booths, so the venue needs to be able to assure you that they have the right space for your needs. Is there accommodation? For multi-day events, on-site accommodation is a must-have. Always ask venues what accommodation they have if it’s possible to book it out for your event, and what the accommodation consists of. 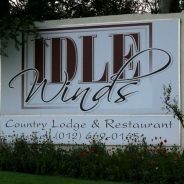 Our fully-air-conditioned conference village just 14kms from Fourways is set in tranquil, well-maintained gardens, encouraging an atmosphere of relaxation and stress-free focus. With six modern conference rooms to choose from, including a 400-seat theatre-style venue, we can comfortably accommodate up to 500 people per day. All our catering is of high quality and our luncheons take place in a private function venue of your choice. In addition to conference and seminar facilities, we also offer a range of team building packages that can be utilised separately or in conjunction with your conference package. For more information on our conference packages or to visit our facilities in person, please don’t hesitate to contact us today and speak to our friendly, experienced staff.